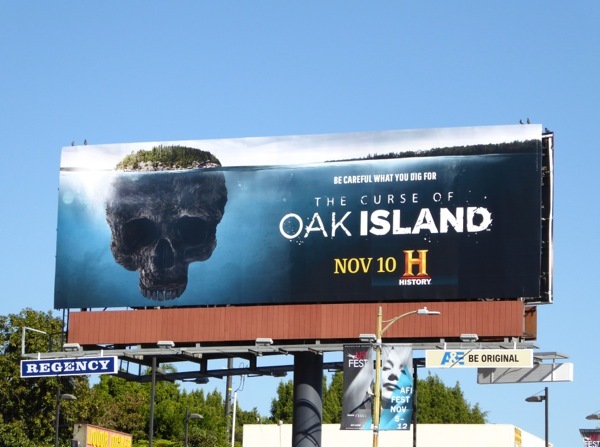 This ad creative for the third season of The Curse of Oak Island is a brilliant visual example of something hidden lurking beneath the surface. 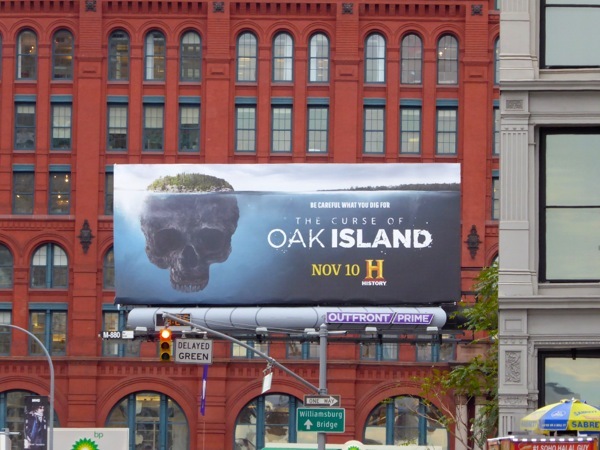 In this case it's a giant skull, which could signify death, for all those who seek the treasures and mysteries of the mile-long island off the coast of Nova Scotia, Canada. 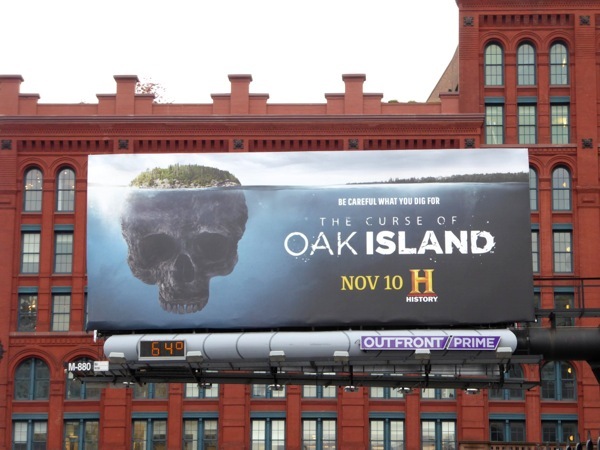 One of History's top-rated shows is back, and Marty and Rick Lagina are about to embark on one of their most expensive historical digs yet. 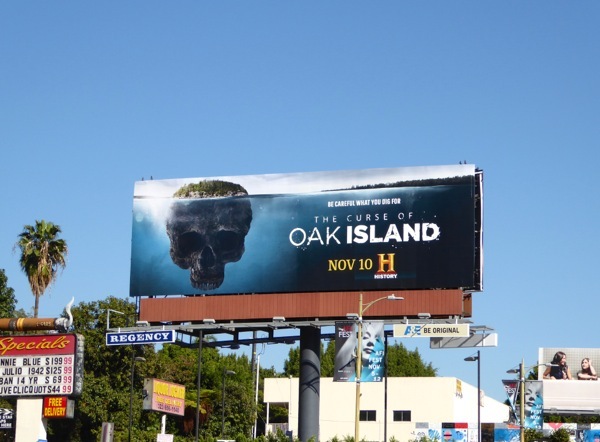 Are there really treasures to be discovered from the Knights Templar, or is the only money associated with this island the cost of all the excavations and explorations over the years. 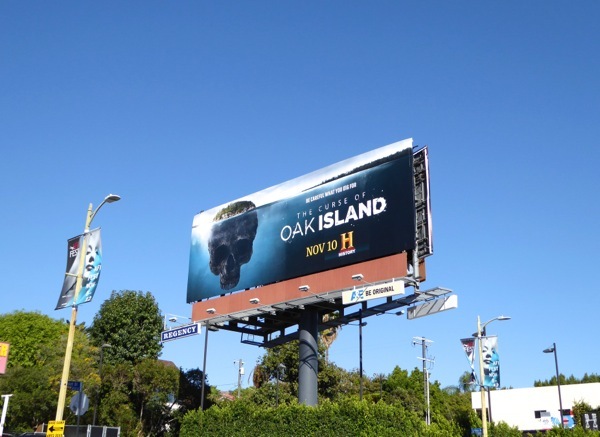 These clever season three billboards for the documentary series were snapped along East Houston Street at Crosby Street in New York City on November 2, plus along Sunset Boulevard in L.A. on November 6, 2015. 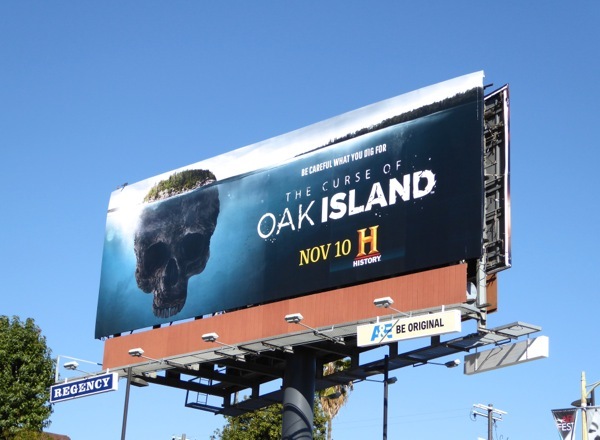 If you're a fan of the show, be sure to also check out this season two billboard for The Curse of Oak Island. Is the answer really down there? As they say, be careful what you wish, we mean dig for.